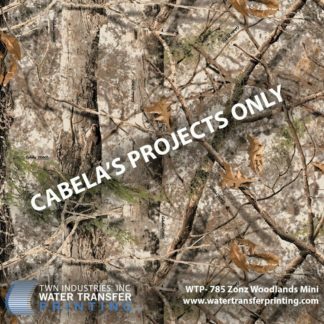 Our line of Cabela’s Zonz Water Transfer Printing film is printed using a wide format with natural transitions. 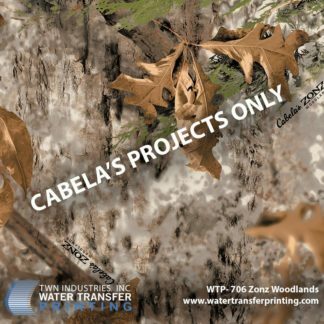 Cabela’s Zonz patterns are comprised of 3 distinct zones: a “trunk and bark” zone, a “limb and branch” zone, and “stick and leaf” zone. This segmentation gives Zonz camouflage patterns unmatched depth and realism. 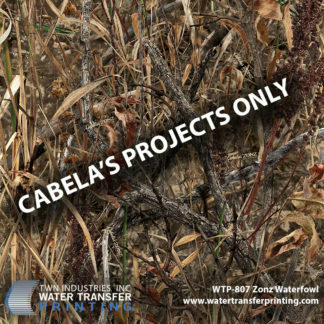 These films are licensed and available for projects pre-approved by Cabela’s.